SURFACE AND SUB-SURFACE WEATHERING, The speed and intensity in which these effects occur varies greatly and largely depends on the geological and climatic environment conditions. The type of weathering effect developing on the surface of a meteorite is also dependant on the percentage of soil contact. 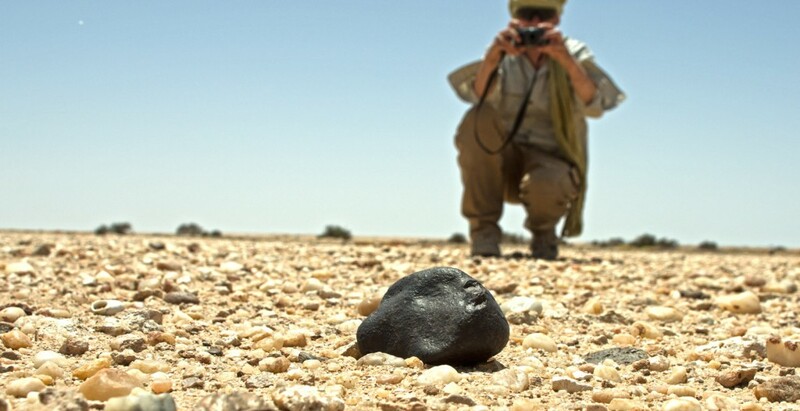 Regardless of the climatic environment, portions of a meteorite embedded in the soil tend to weather chemically much more intensely and quickly than those exposed. On the other hand, the imbedded portions of a meteorite are largely protected from any mechanical abrasion. Especially in arid Environments, there is practically no movement of abrasive particles within the soil. This way, meteorites fallen millenia ago often still display well preserved outer fusion crusts on their embedded portions. The speed and intensity in which these effects occur varies greatly and largely depends on the geological and climatic environment conditions. The type of weathering effect developing on the surface of a meteorite is also dependant on the percentage of soil contact. 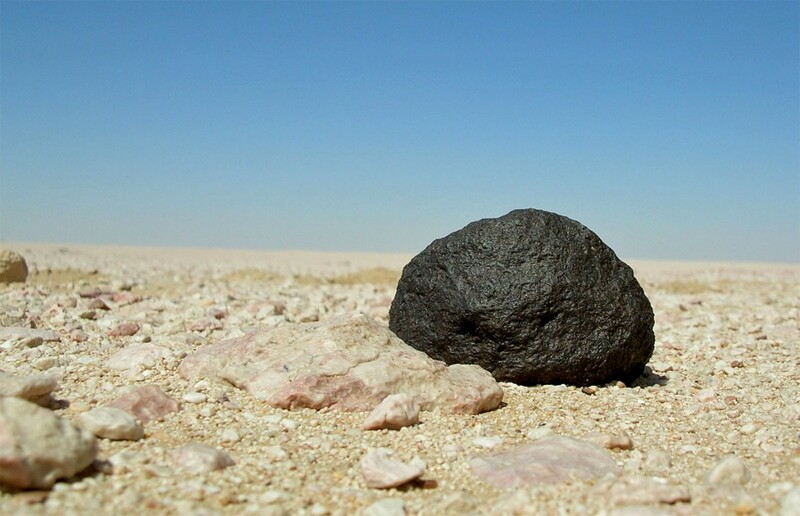 Regardless of the climatic environment, portions of a meteorite embedded in the soil tend to weather chemically much more intensely and quickly than those exposed. On the other hand, the imbedded portions of a meteorite are largely protected from any mechanical abrasion. Especially in arid Environments, there is practically no movement of abrasive particles within the soil. This way, meteorites fallen millenia ago often still display well preserved outer fusion crusts on their embedded portions. Wlotzka, et al (1993, 1995), developed a scale of weathering effects seen in polished thin sections of meteorites. 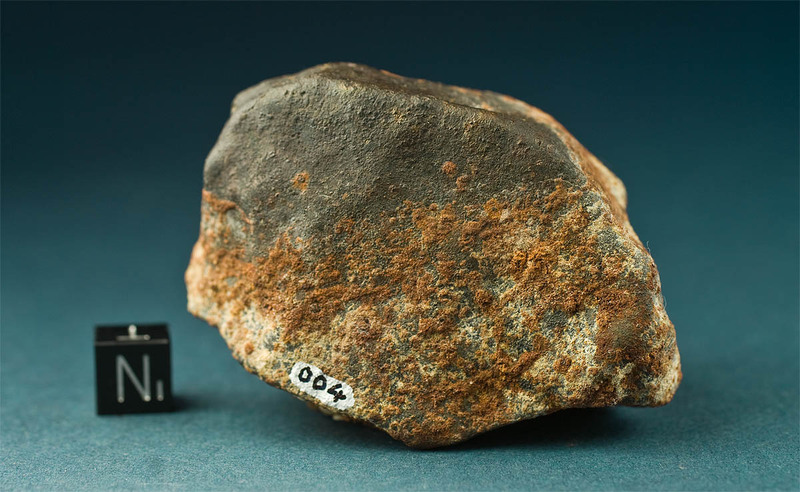 Their weathering scale is only relative as it claims no universally valid correlation between the terrestrial residence time of a meteorite and its state of weathering. Thus the weathering grade is by no means a suitable tool from which to derive the state or even presence of fusion crust of a given specimen. The L5 chondrite Tsarev, which fell in December, 1922, is a good example. Although its fall took place in recent times, the specimens found since 1978 show a weathering rind composed of terrestrial minerals that have replaced most, if not all, of the original fusion crust. Contrary to SAU 001 mentioned above, other meteorites with weathering grades as low as W1 (e.g. NWA 5910 and NWA 5923) do not display any crust at all due to heavy exterior weathering. The same goes for certain meteorites with a weathering grade of W2, of which many show no visually-identifiable crust at all while others show fusion crust still in place. Thus, it is obvious that the weathering grade is not a safe indicator to determine whether we can expect fusion crust on a complete individual or not. 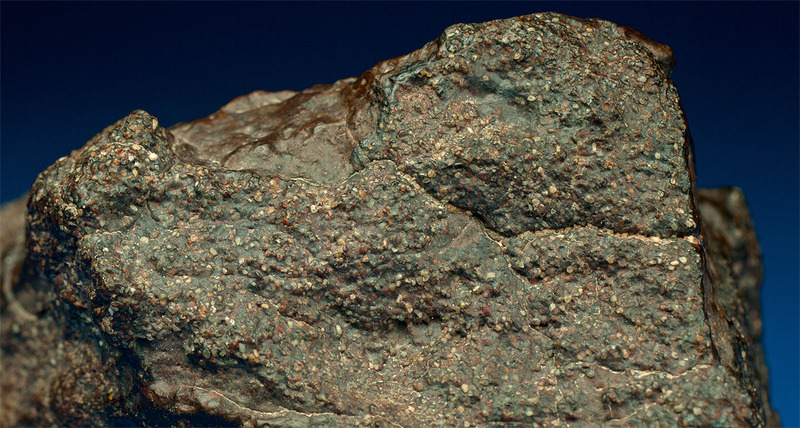 Heavily abraded or weathered meteorites often have thick rinds made of oxides and terrestrial minerals which have completely replaced the fusion crust. To be able to speak of any remains of fusion crust, a cut or broken surface of a given meteorite should at least show the underlying substrate of the outer crust. When there is no longer a difference in color, texture and composition between a fine-lined outer rim and the interior matrix, it’s pretty safe to say the fusion crust is all gone. If there still is a delicate coating covering a jagged and irregular suface, and if this coating is all smooth, shiny, featureless, and of light to dark brown color as can be seen on many NWAs, you are almost certainly looking at a layer of desert varnish. If the meteorite shows a brown, grey or light coating that is dissolvable in acid, the fusion crust has been replaced by, or enriched with, clay minerals or caliche. Caliche consists of layers of a hardened calcium carbonate deposit that forms through minerals leached from the upper layer of the soil and which is adhering to contacting surfaces. With individuals there is often no cut surface available to compare matrix and exterior coating. But almost all meteorites that experienced some degree of weathering show damaged surfaces which are recognizable by a rougher texture than the surfaces resulting from ablation. If there is no difference in color between these and the latter surfaces, this is a sign that sand polishing and the formation of desert varnish is already in a progressed state. And if neither any textural remains nor a compositional difference between coating and interior can be determined, the specimen is likely weathered beyond the substrate and no fusion crust remains here, either. 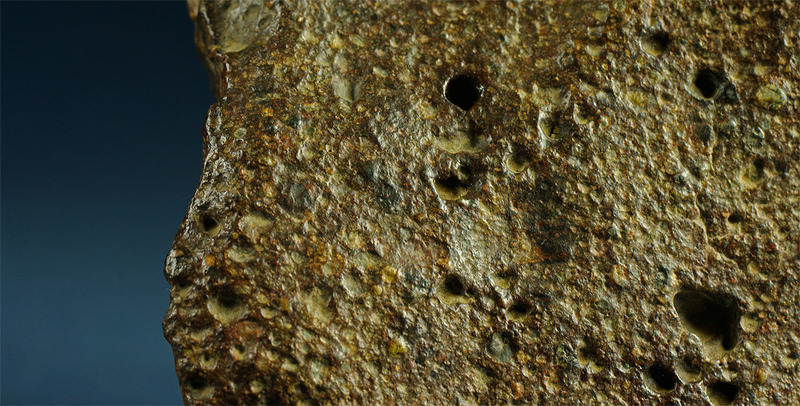 These meteorites often show complete replacement of troilite by iron sulfate and complete dissolution of all other primary metal. The weathering grade of such material would be, at least, W4. Even if there may still be remains of the substrate of a fusion crust hidden under the highly-oxidized shale or weathering layer, there is no way to call such meteorite “fusion crusted”. If the outer visible coating of a meteorite is a rind of terrestrial weathering products, one should consider exactly this when describing a meteorite.